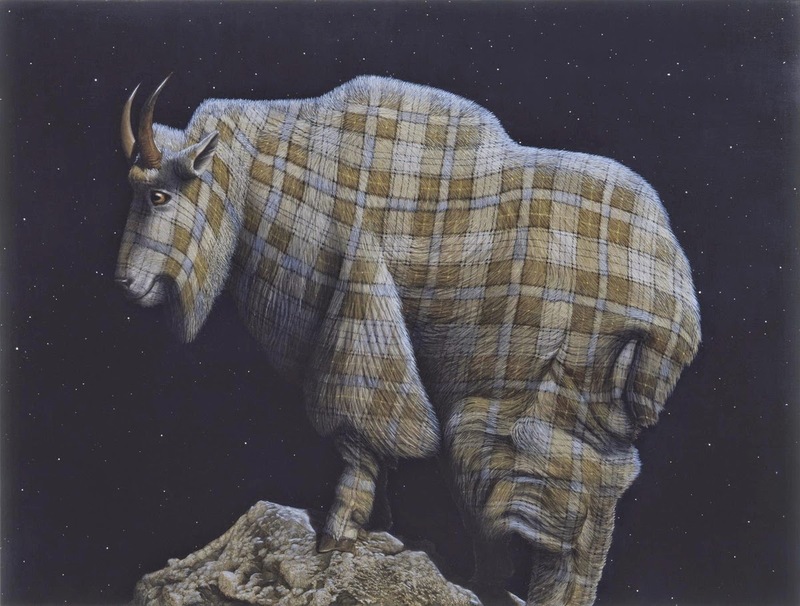 Sean Landers is an artists that doesn't limit himself on the kind of medium he uses or, on the subject matter he approaches in his art, that is said, it is mostly taken from his personal experiences. 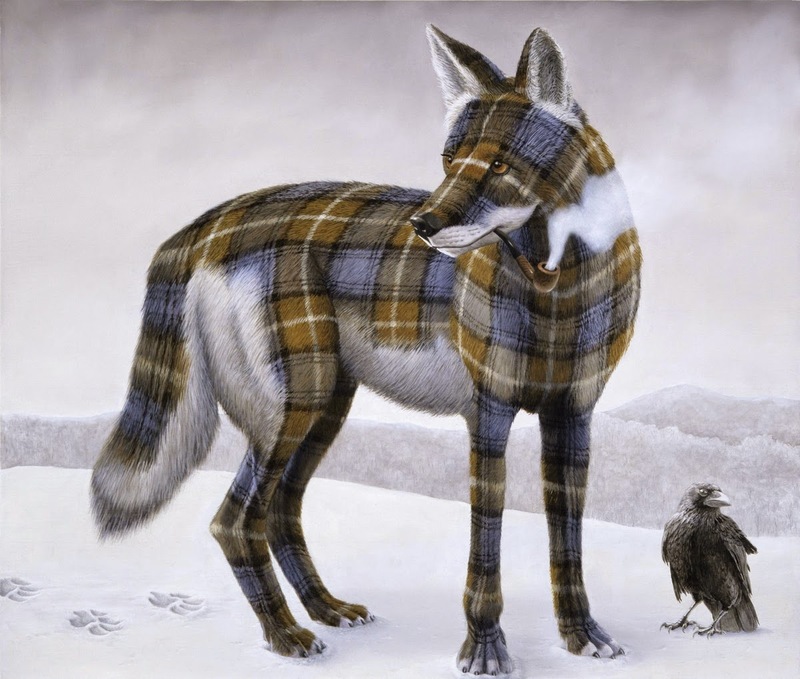 Amongst the mediums he uses to express his ideas are: sculpture, photography, drawing, writing, video, audio and paintings. 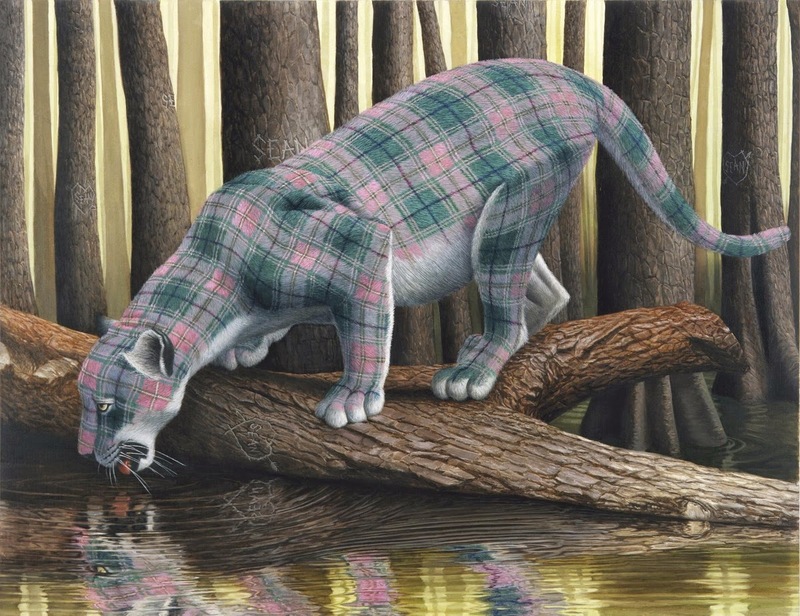 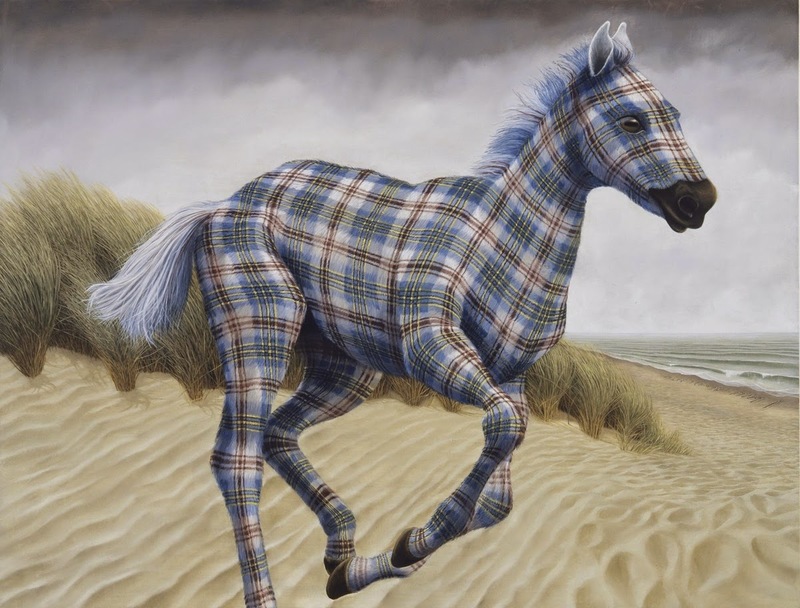 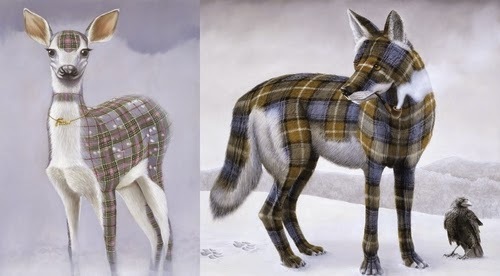 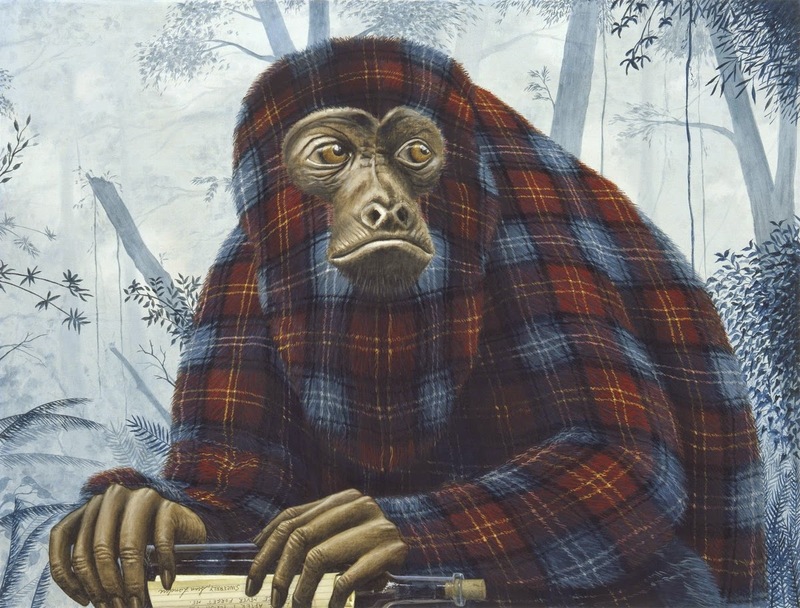 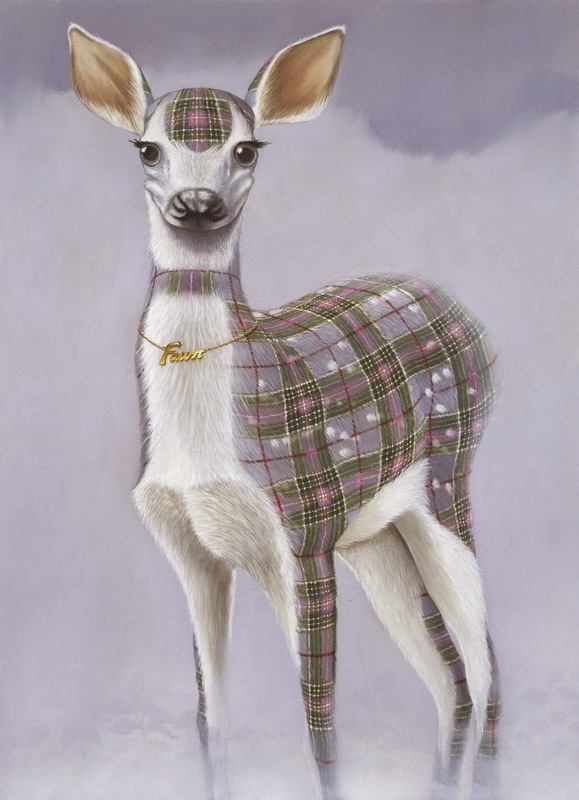 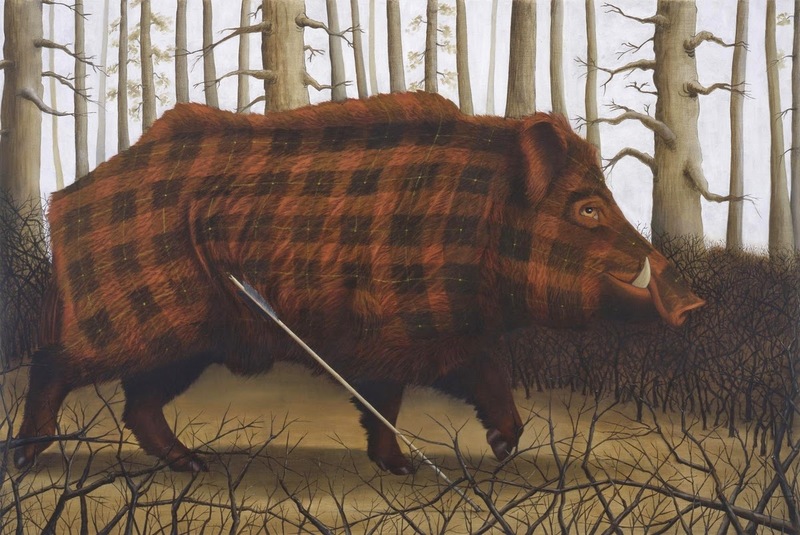 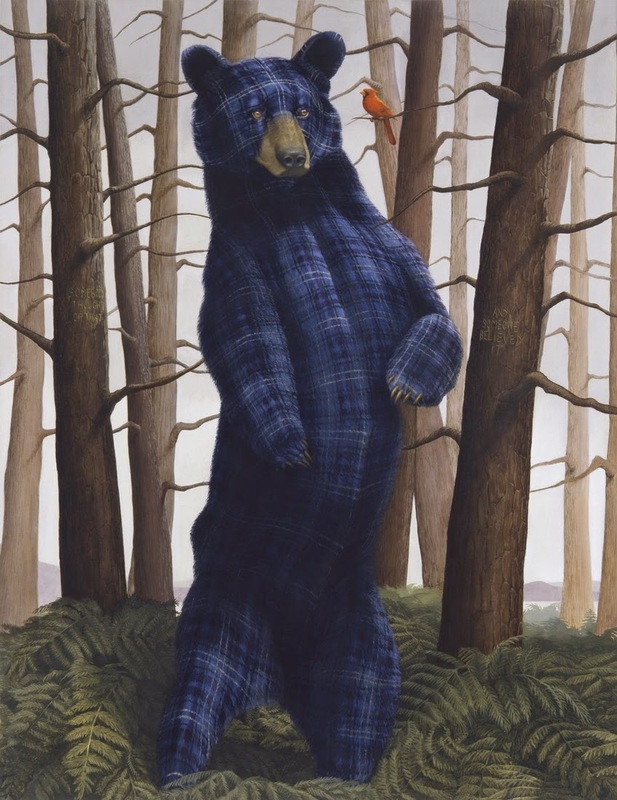 "North American Mammals" this body of work is divided in 3 sections we have chosen his animal ones, the same way these animals have a coat of fur Landers' coat of paint transforms them with these tartan designs. 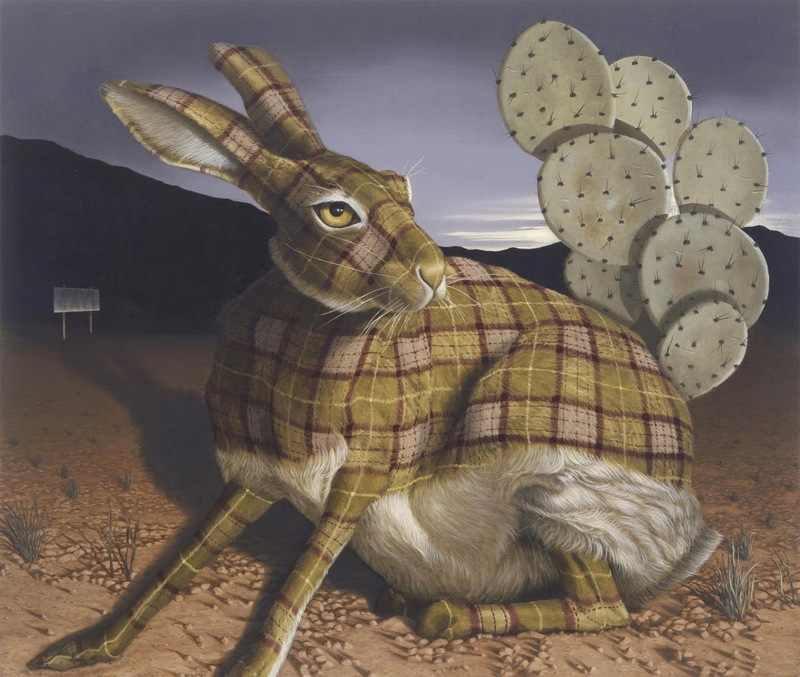 There is a lot of symbology and subtext behind these beautiful paintings where the visual art piece is just the tip, the same way the tip of the iceberg, the part above water, is the portions immediately noticeable, but there is so much more below.